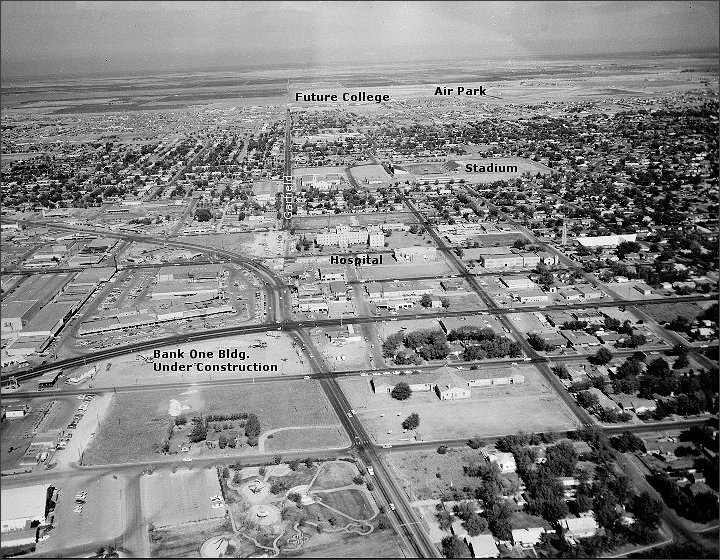 From 1961 looking north towards the hospital, Memorial Stadium and the edge of town near Wadley. The Air Park was on the outskirts of town and the college was a full ten years away from the start of construction. The old Midland Community Theater and Dennis the Menace Park are at the bottom of the photo.